Rafael, Certified Iyengar Yoga Teacher (CIYT), has developed an acute understanding of muscle function and disfunction. This journey began with a search for relief from debilitating chronic back pain resulting from a gymnastics injury when 16. Trice weekly chiropractic visits beginning in 1981 enabled Rafael to begin studying Aikido, a non-competitive martial art. By that time he had relinquished competitive Judo and the teaching of it altogether (just before his test for third degree). Rafael first sought the yoga postures in 1983, as a means to gain control over the pain. He petitioned Iyengar Yoga teacher Laurie Blakeney and embarked on a ten-year study, culminating in a twelve-month apprenticeship. In the 1990s he organized the first yogāsana/prānāyāma Teacher Training program in the KC Metro, with Senior-level teachers. Rafael continued to practice Aikido and was given permission to teach this art in 1993. Training exceeds 1,500 hours, under the tutelage of several Senior Iyengar Yoga instructors. This includes travel to India in 2000, to study at the Ramamani Iyengar Memorial Yoga Institute in Pune under Dr. Geeta Iyengar and Prashant Iyengar. On returning from India, Rafael abandoned his college art teaching career to focus almost exclusively on the learning of Iyengar Yoga. Rafael earned a Zentherapy Introductory certificate in 2011 and became a Flowtrition Practitioner in 2018. Most importantly, chiropractic assistance for his spondylolisthesis is now down to once or twice a quarter. None of this would have been possible without the practice of Iyengar yoga. Laurie Blakeney, currently an Advanced Level Certified Teacher granted to her by B.K.S. Iyengar. Only 13 such certificates have been granted in the U.S. She began her Iyengar yoga studies in 1971, and has studied annually in Pune, India at the Iyengar Institute since 1983. 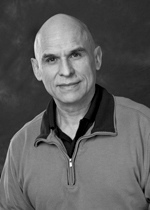 Randy Just, is Senior Intermediate I Certified and Director of the Iyengar Yoga Studio of Dallas. Randy, who has inspired me to delve deeper into my practice, travels to Pune often. Alaric Newcomb, Senior Intermediate III, holds the highest certification level in the UK. Alaric began his yoga studies in 1983, holds a BA in Philosophy, and maintains a small psychotherapist practice. Karen Allgire, Junior Intermediate III, has made three trips to study at the Iyengar Yoga Institute in Pune, India and was chosen to teach at the 2011 Midwest Iyengar Yoga Regional Conference. Based on the teachings of yoga master B. K. S. Iyengar, who was listed by Time Magazine as one of the most influential people of the 20th Century, Iyengar yoga is widely practiced worldwide. This practice begins with learning the art and science of āsana (yoga postures). The method of study is orderly and progressive, and the postures are adjusted to meet physical conditions and the needs of each student. Strength, coordination, flexibility and an increased sense of well-being are some of the benefits. Through the consistent practice of āsana and prānāyāma (yogic breathing), students of Iyengar yoga are guided towards increased awareness of their physical, emotional, and spiritual lives. This style of Yoga emphasizes precision and form so that the mind, focused and absorbed, flows evenly throughout the system enabling the practitioner to experience meditation in action. All Iyengar Yoga teachers undergo years of training to be able to address the individual needs of the students, regardless of age, ability, or state of health.